Kampong Cricket gaat ‘leuke dingen doen’ bij de International School die in Utrecht is gevestigd. Het eerste is dat er op de school leaflets worden uitgedeeld en opgehangen om kinderen naar de wintertraining te krijgen. 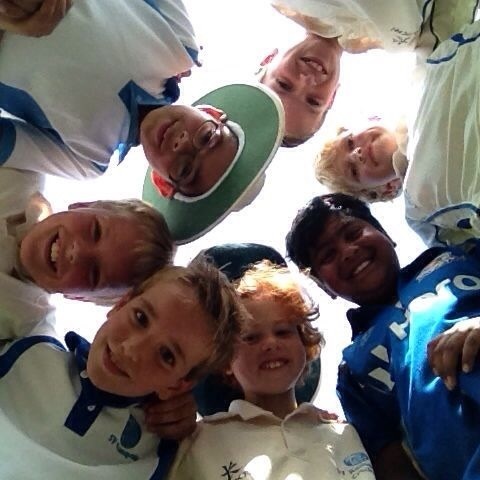 Kampong Cricket is planning to ‘do great things’ at the International School in Utrecht. The first thing will be handing out and posting leaflets at the school to attract children to the winter indoor training sessions. We invite all kids, boys and girls, beginners and experienced players from the age of 6 to come and enjoy cricket at Kampong. Our experienced coaches will teach you the basics and more advanced stuff, and you will also play games and have fun! The first 3 lessons are free and then you can register as a member of our great club and enjoy the rest of the winter programme until April, followed by the outdoor season starting in May. We’ll start again in January until the end of March, also in the morning on Sundays. Kampong Cricket has teams playing in the national indoor competition in March/April, and the national Dutch youth leagues during summer in May, June, July until the holidays. In the 2017 season Kampong Cricket had teams at the following age levels in these leagues: U11, U13, U15 and U17. The U13 reached the national final and finished second-best team of the country!